One way of managing your website's files is with FTP (File Transfer Protocol). To manage your website's files yourself, you can use FileZilla for free or any other FTP client. You can download the free FileZilla client for Windows here. 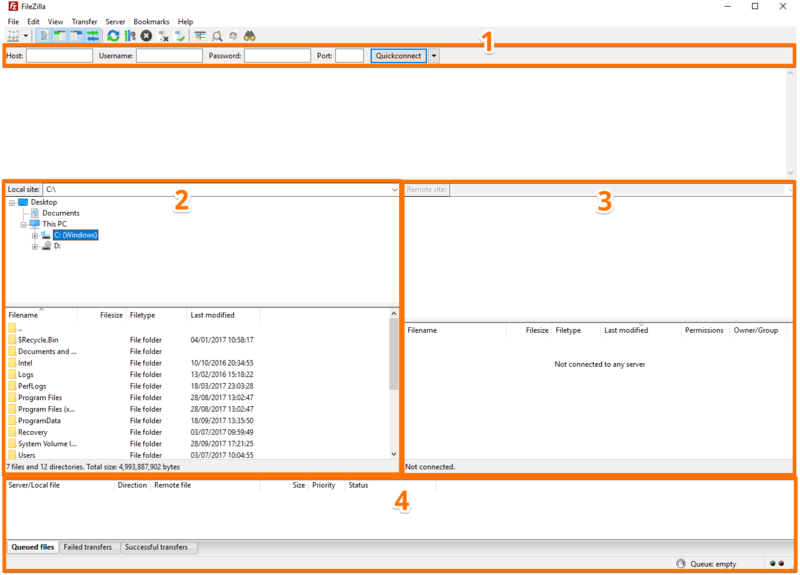 More information on how to install FileZilla can be found here. Quick Connect bar - You can connect to a server from this bar. Local Pane - The files on your computer are listed here. Remote Pane - These are the server files, the files in your hosting account. Transfer Queue - Files waiting for transfer and already-transferred files are listed here. How do I access FileZilla? 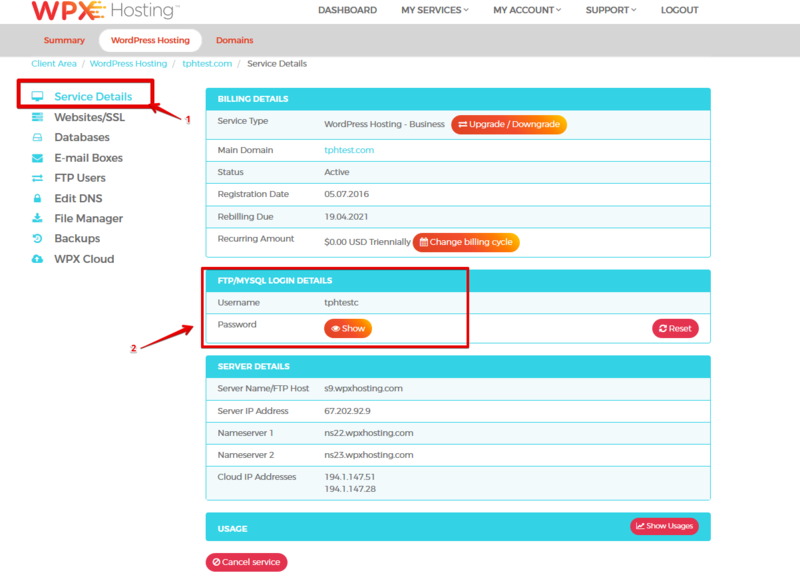 Host: You can use the IP of the server (located in the Dashboard section in your hosting panel). After you click the Quickconnect button, you will then see the files and folders list in your account in the Remote Pane (3). Where to place your files? The root folder for the main domain is “/public_html/” and you need to place your files there. Where you see “domain.com” above, you must input the name of your actual domain. operate via the left (Local) Pane. Select the files/folders and drag them from Local Pane and drop into Remote Pane (from left to right). If you want to download files, you just need to reverse the process (from right to left). You can do this file by file or folder by folder however, it is much easier to mark all the files/folders you want and download/upload them all at once. If you want to access your files via SFTP, you will need to use port 2222 and to add the "sftp://" protocol in the Host field. The other steps are the same as the normal FTP connection. Now FileZilla is up and running! You can upload, download, and manage content to your website via FileZilla after following this guide! Check out how to use Filezilla For FTP/SFTP With Your WPX Hosting Account (and more about our WPX Hosting in the UK here). How to be sure you choose the best WordPress hosting for you? Learn more here. Read more how to speed up your website. Pick your WPX offer and get started now!